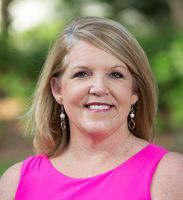 Born and raised in the Golden Isles, Wendi currently lives on St. Simons Island and is an active member of the local community. After graduating from Georgia Southern University with a degree in accounting, she began a career in community banking that that spanned more than 15 years. Wendi’s career in banking, including management of large real estate portfolios, along with her knowledge of the local real estate market and her thorough understanding of lending, puts her in a unique position to serve her clients. Wendi and her husband Jim have 10 year old twin daughters, Sydney and Carley. Growing up in the community and raising her family here gives her the knowledge that will assist her clients in all aspects of a real estate transaction.